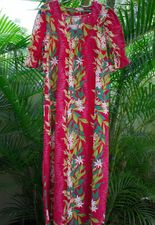 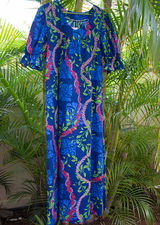 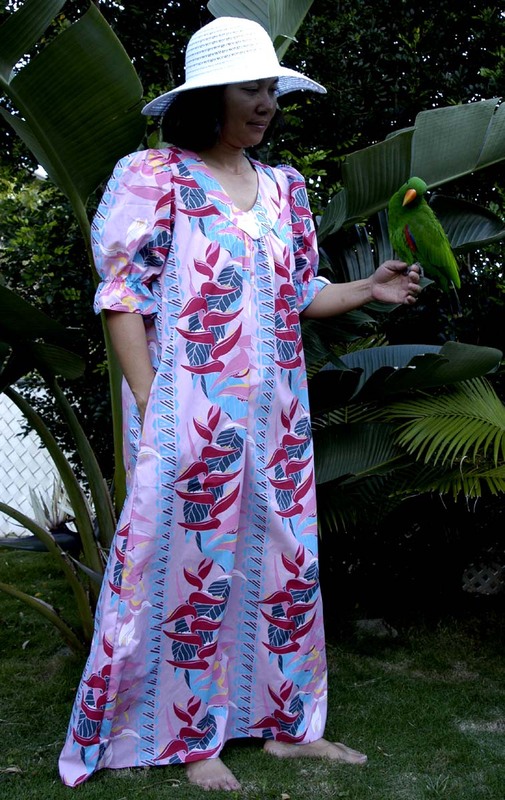 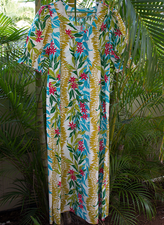 Traditional Long Hawaiian Muumuu style designed for comfort and easy movement. 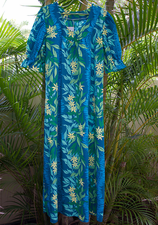 Beautiful hawaiian tropical flower designs can be used as a wedding dress. 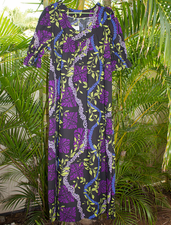 Easy Slip over the top design. 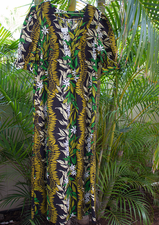 Come with one side pocket. 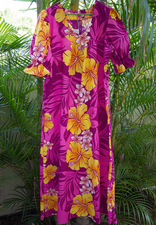 Click on Pictures for a larger view.Matching Men's Hawaii shirts available in some prints.